"Out Of The Forest At Last There Stood The Mountain, Wholly Unveiled, Awful In Build And Majesty, Filling All The View Like A Separate, Newborn World, Yet Withal So Fine And Beautiful It Might Well Fire The Dullest Observer To Desperate Enthusiasm." You've probably noticed that I have quite a few images of the Mount Adams, Gifford Pinchot area. Mount Adams is the most remote mountain in the Cascade Range. It is often overlooked in publications and calendars. It's one of the reasons I love this area so much. It's difficult to reach and has very little pressure from civilization. I feel that the hiking & camping experience hasn't changed much over the last fifty years, and it is one of the most beautiful places in Washington State. This is my wife's favorite image of Mount Adams reflecting into Takhlakh Lake during a cold November Sunrise. We have a large framed print hanging above our fireplace. I've wanted to replace it with something different, however, she always says no! Mount Shuksan is a glaciated peak in the North Cascades. 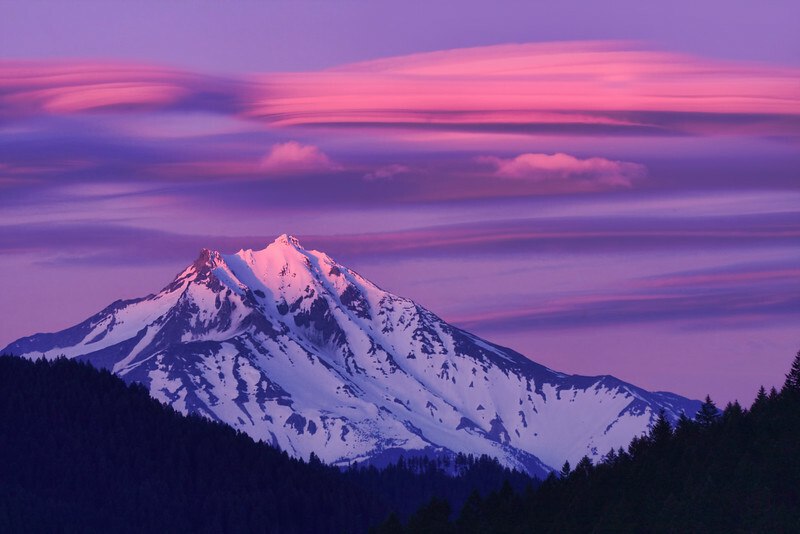 It s one of the more often photographed mountains in the Cascade Range, It is 9,127 feet high. Clouds slowly creep over Horseshoe Lake with Mount Adams looming to the South. A July evening at Takhlaka Lake with Mount Adams in the background. I noticed this fisherman quite a ways down the lake. 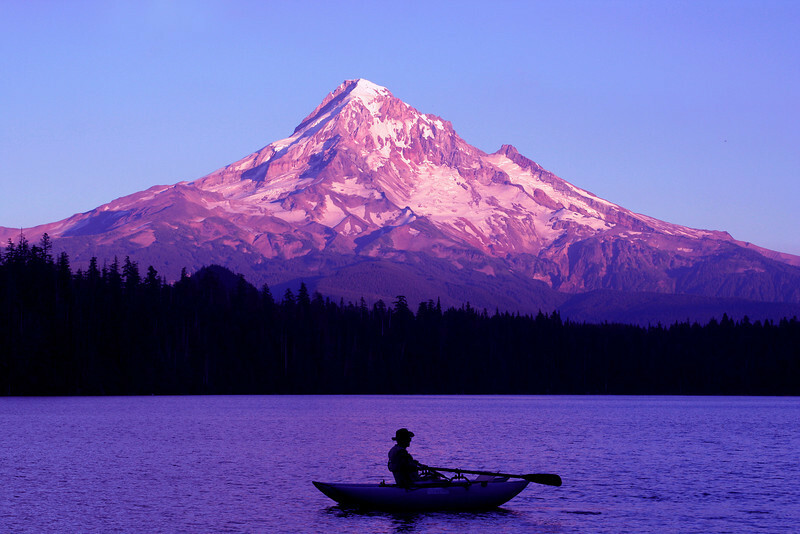 I waited until he rowed into position with Mount Hood centered above him and shot one frame. The stage is set at Takhlakh lake for another fabulous view of Mount Adams, a place where you have time to savor life's simple pleasures. Mout Adam's watches over Takhlakh lake. Looking East towards the Mountains from the West shore of Lake Crescent. Mount Adams in late July overlooking Horseshoe Lake Earlier in the day it was very warm. We spent the day swimming in the lake. I was floating on my air-mattress looking up at the silky clouds, thinking to myself, I'd rather be here than my condo in Hawaii. My favorite spot in the world! I spent a couple days camping in East Glacier National Park. Having only stayed in West Glacier, all I can say is wow, it is breathtaking! 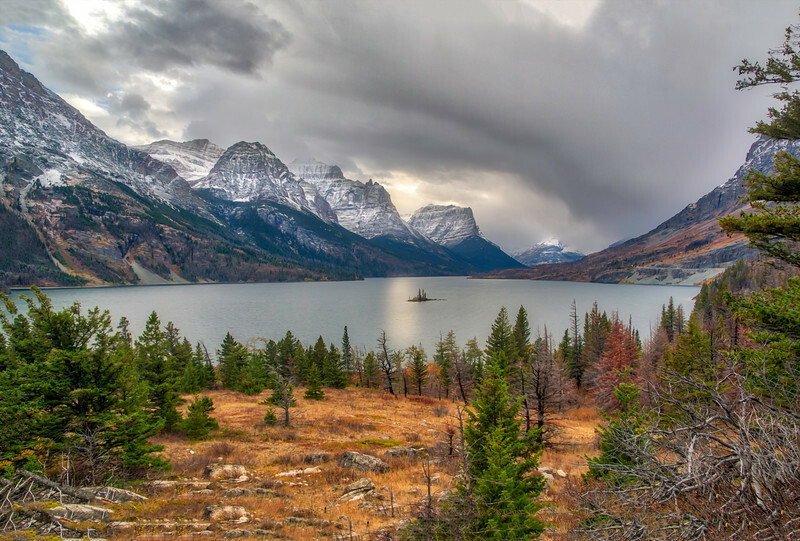 This is Two Medicine Lake with Mount Sinopah as a backdrop. 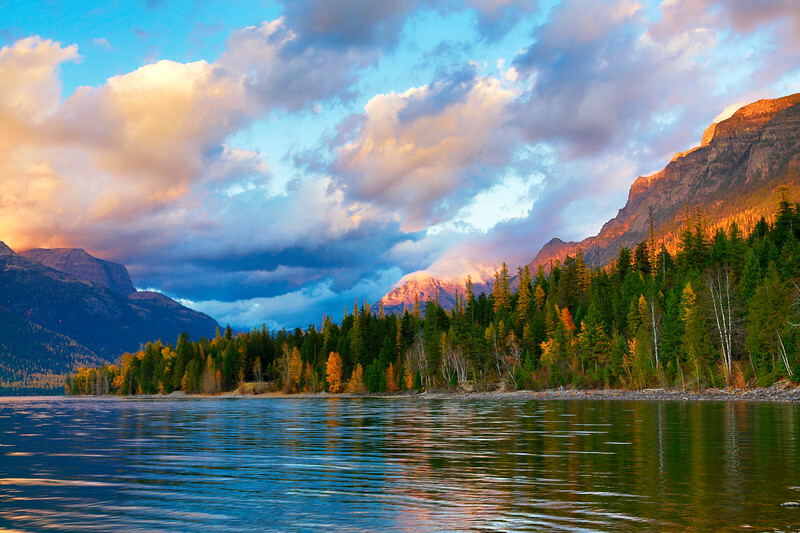 The late Robin Williams said of Glacier national Park. "If it isn't God's backyard, he certainly lives nearby." 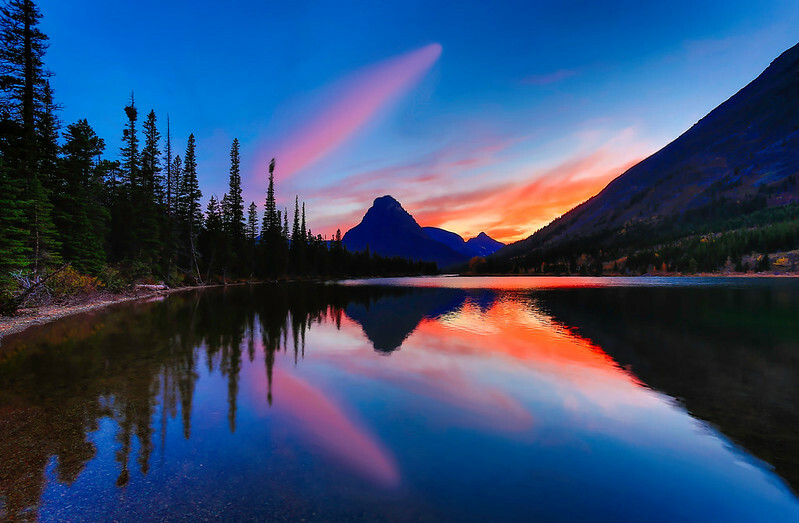 Saint Mary Lake is located in Glacier National Park. The opening scene in the 1980 Stanley Kubrick film "The Shining" was filmed at Saint Mary Lake. 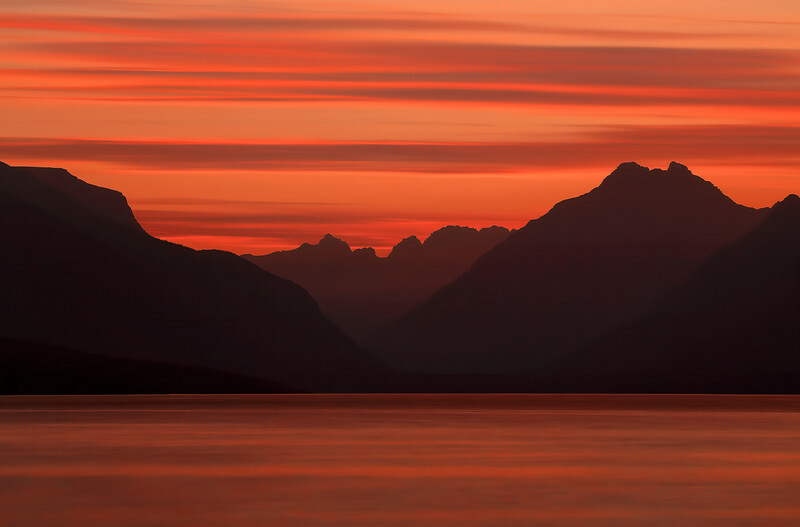 A late October evening at Lake McDonald. This was taken on the 3rd of March. My good friend who lives across the street called me to see if I wanted to go down the hill, as the sun was setting fast. We set-up quickly and waited for daylight to give way to dusk. The clouds changed into a dusty pink, as evening settled over the Olympics. We watched as the clouds slowly turned into a steel gray in a matter of minutes. A lenticular cloud moves across Mount Adams. 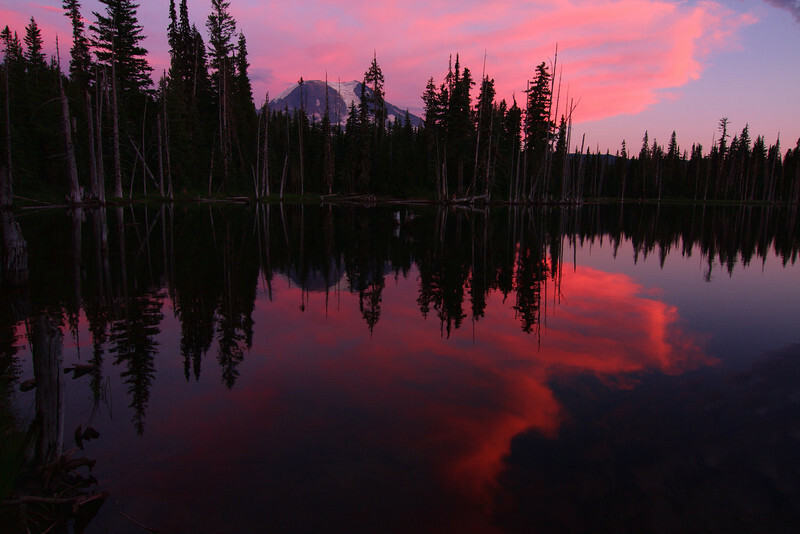 Mt Rainier and Reflection Lake at Twilight The Earth is neither completely lit nor completely dark. The sun itself is not actually visible because it is below the horizon. 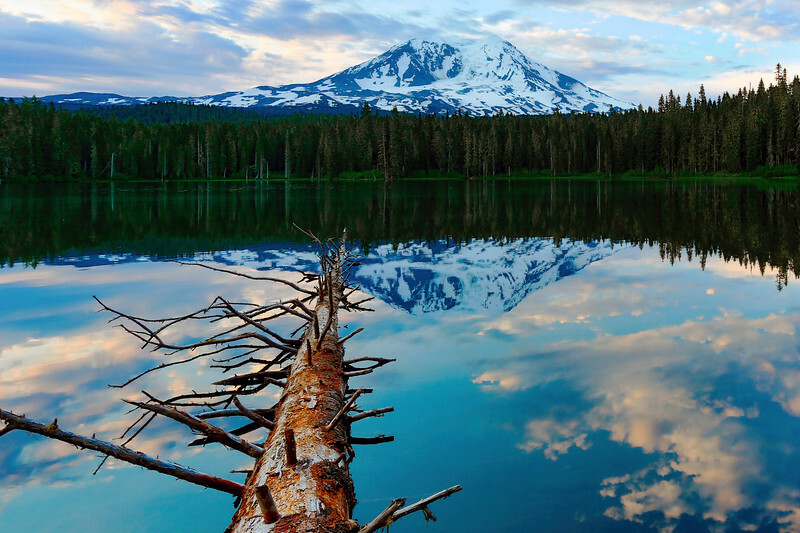 Takhlakh Lake reflects the early morning Sunrise, as Mount Adams seems to be wearing a cap on her head. Mount Adams is the most remote mountain in the Cascade Range. Clouds cast their reflections around an old tree that once stood proud on the edge of Takhlakh lake with Mount Adams in the distance. 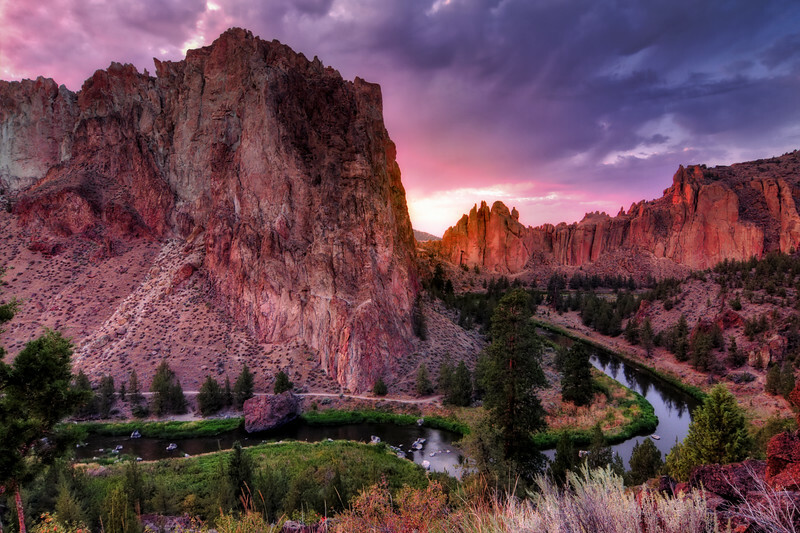 Smith Rock State Park's majestic rock spires, rise above the winding Crooked river. This area draws many World Class Rock Climbers from around the world. 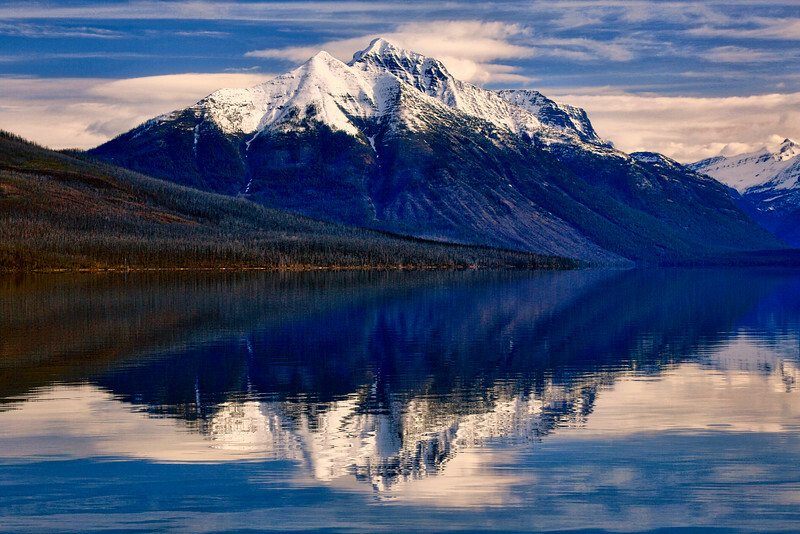 Lake McDonald is ten miles long and nearly 500 feet deep, it's the largest lake in Glacier National Park. 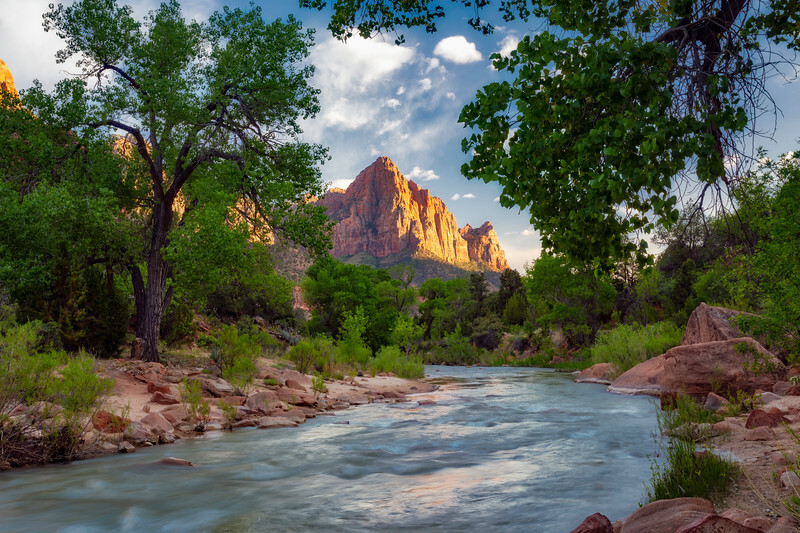 The Watchman is the most photographed icon in Zion National Park for a couple of reasons. First, it is a beautiful and grand rock mountain that happens to "face" the valley from the South that glows at sunset. This was taken at first light at the West end of the park. There is a huge forest fire on the East side & going into the sun road is closed at Logan's pass. Really a shame, but created for some interesting atmospheric conditions with the smoky haze. 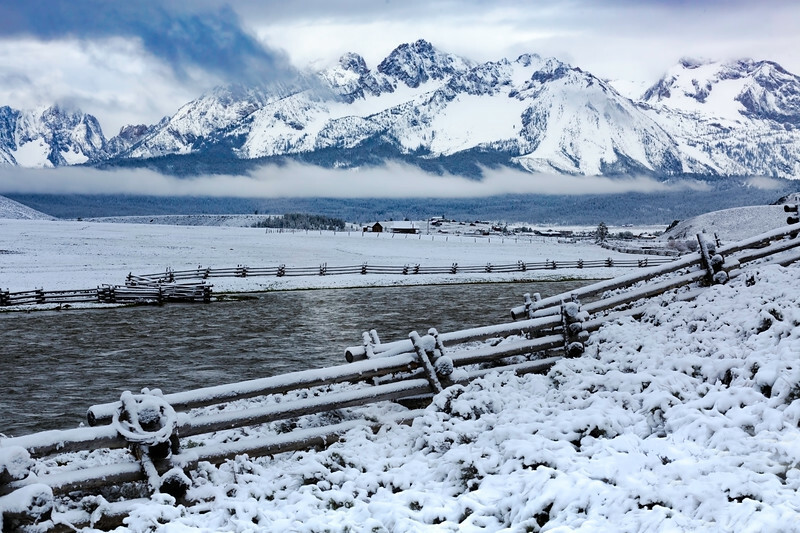 The Salmon River, "The River Of No Return" flows into the town of Stanley Idaho with the Sawtooth Mountains in the distance. Stanley Idaho is one of the coldest areas in the lower 48. This was taken on May 13th.